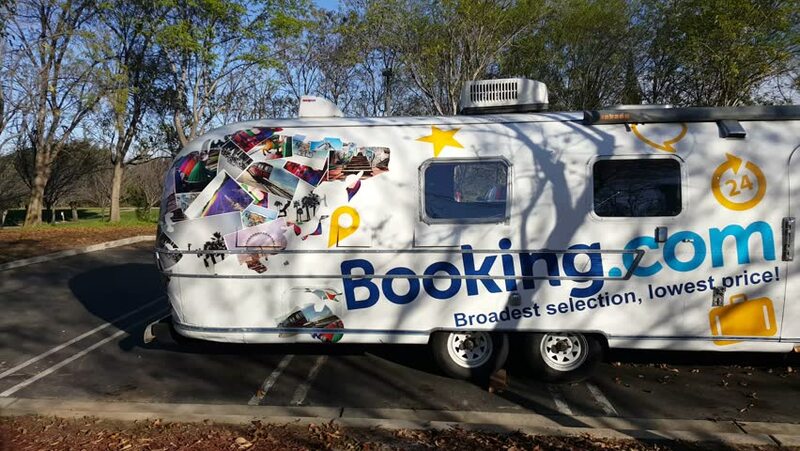 MOUNTAIN VIEW, CA/USA - JANUARY 27: Booking.com shuttle in Mountain View, CA on Jan 27, 2016. It is an online accommodation booking website. hd00:07Bangkok, Thailand-April 4, 2014: View of city life in Bangkok. A Monk walk, and vendors are on the sidewalk in Bangkok.